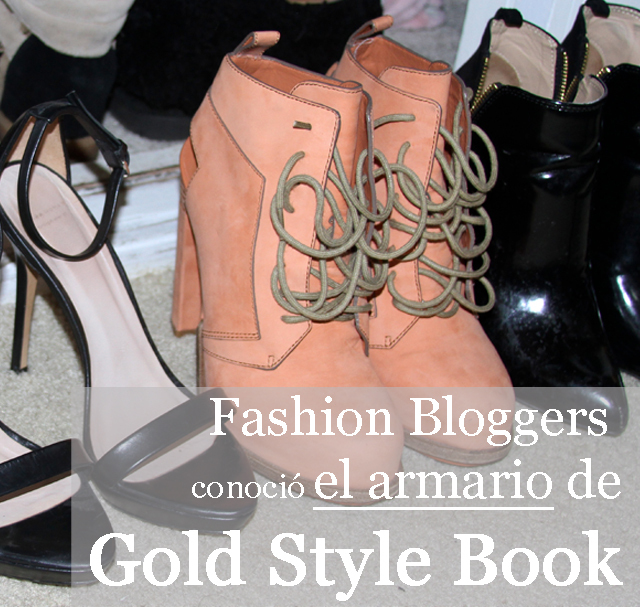 Fashion Bloggers Colombia a page that encourage us and support us everyday, decides to meet my dear closet, as for me, I was super excited, I told myself I have lots of thing to show, but definitely this post does not aboard everything, just the most important things I own. 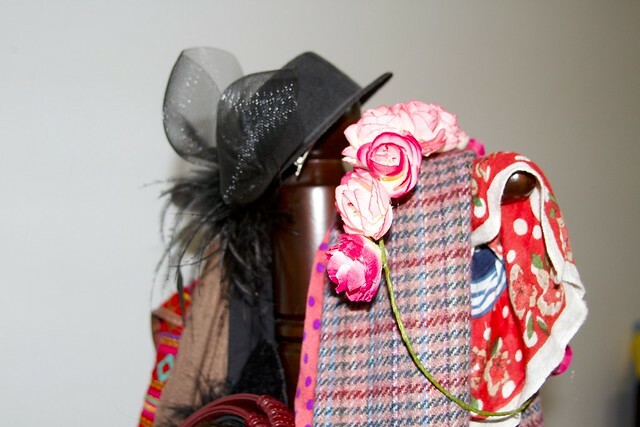 Keep reading and know a bit of my wardrobe. Fashion Bloggers Colombia, una página que nos apoya a todos nosotros, decide conocer mi armario, yo suuper emocionada me dije tengo muchas cosas que mostrar, pero definitivamente este post no tiene todo, sólo tiene las cosas que más me gustan y que me identifican. Sigan viendo y conozcan una parte de mi armario. 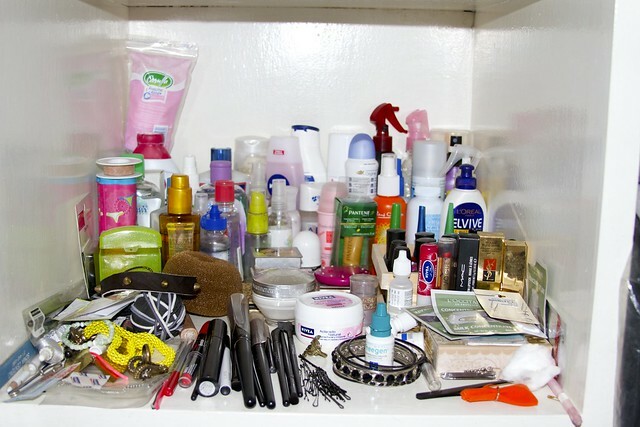 In my closet, I have almost all of my beauty products, from skin care to make up, I also have in there some accessories I love, oh and nail polishes. you can se that there is a big quality of skin care products, on the right I have some hair products, like a heat protectant from TRESemmé, Batiste dry shampoo, and a volume spray. Then you can see my moisturizers, products to take off my make up and toners. I am so Johnson & Johnson´s I own some oil for my skin and a cologne for sleep, it helps me sleep all night. My make up is in the middle, I own various shadows, loose powder and some mirrors, I own a few lipsticks, my precious YSL that I wear rarely. I also have my natural tears, my eyes tend to dry often so they are so welcome. 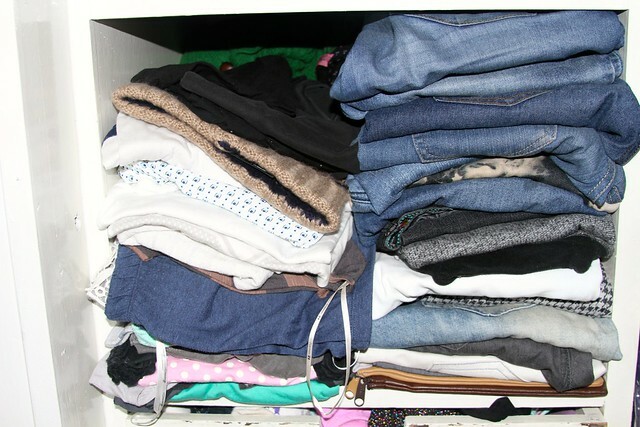 On the bottom, I have my jeans displayed, I love them, they are really comfortable, behind them are my sweaters (I think I have an addiction) and some summer clothes, near the jeans I have my shirts and things that I wear on a daily basis. Abajo de mis lindos productos, tengo mis jeans que tengo demasiados, a mi parecer, los amo, son demasiado cómodos, detrás de estos están todos mis sacos (soy adicta a los sacos) y unas prendas para el calor, al lado tengo mis camisetas y cosas de uso diario. 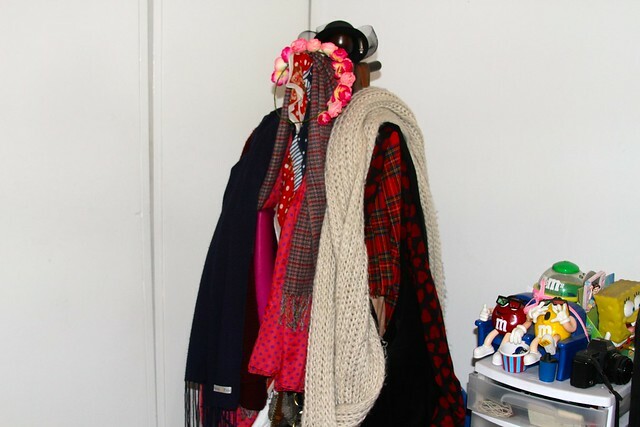 I do not own so much space, but it does have a generous background so there is where I keep most of the things I do not wear. I have a stationary where I keep another part of my make up (the acrylic box you can see on the left). I also keep some snacks in there, maybe I sleep late (studying arquitecture and business administration does keep me awake some days) and I feel hungry, not feeling like going downstairs, they are handy. En mi armario no es que tenga demasiado espacio y como tiene un fondo bastante generoso guardo allí las cosas que casi no uso, Tengo una repisa donde guardo otra cantidad de maquillaje (la caja de acrílico que se ve en la parte superior izquierda). Ah y también tengo snacks allí, de pronto trasnocho mucho (estudio arquitectura y Administración de empresas, así que es medio normal) y me da hambre, me da pereza bajar, por eso vienen de ayuda. This is a part of my everyday shoes, It is weird because I just noticed I don't own a black pair, I know that they 'combine' with everything, but for me the one that do that is the burgundy. The chelsea boots are from Topshop and ASOS , the burgundy ones from ASOS too, the sneaker wedges are from ZARA, the camel flats are from River Island and the cremes are from Marrox, a local shop. Esta es una parte de mis zapatos de uso diario, es muy raro pero no me gustan casi los zapatos negros (hasta ahora me doy cuenta), sé que supuestamente combinan con todo pero para mi el color que combina con todo es el borgoña. 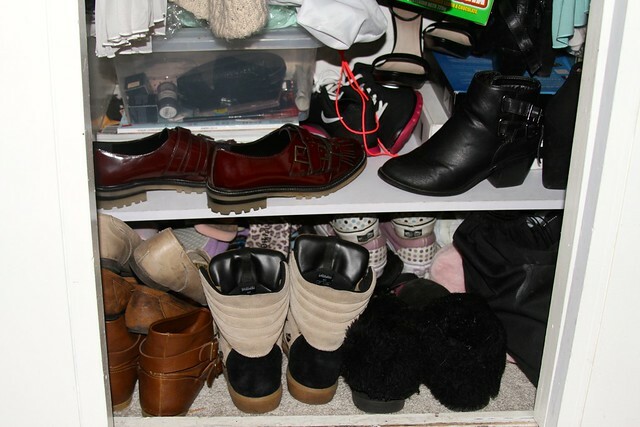 Los botines Chelsea, los cafes son de ASOS y los crema de Topshop, los borgoña de ASOS y mis lindos sneakers de Zara, los crema son de una tienda colombiana Marrox y los camel son de River Island. And here are my beloved shoes, specially my Alexander Wangs, they are like a treasure, I do not use them a lot, as you may know with Bogotá weather you never know, so if the rain touch them I will just ruin them. the others are the party shoes or special evens shoes, they are really comfy. Both pair of black shoes are from ZARA, the first ones are from ASOS (if you want to see the details click here) and the others, well you know they are Alexander Wang. Y aquí están mis mas preciados zapatos, los amo, especialmente mis Alexander Wang, son como un tesoro, casi no los uso, sabrán que con el clima de bogotá, núnca se sabe, y si tocan lluvia se manchan. Los demás son fijo los zapatos que llevo a fiestas o algún evento especial, son muy comodos. Los dos pares negros, son de ZARA, los primeros son de ASOS , (si quieren verlos en detalle pinchen acá), y bueno los otros ya lo saben son mis Alexander Wang. 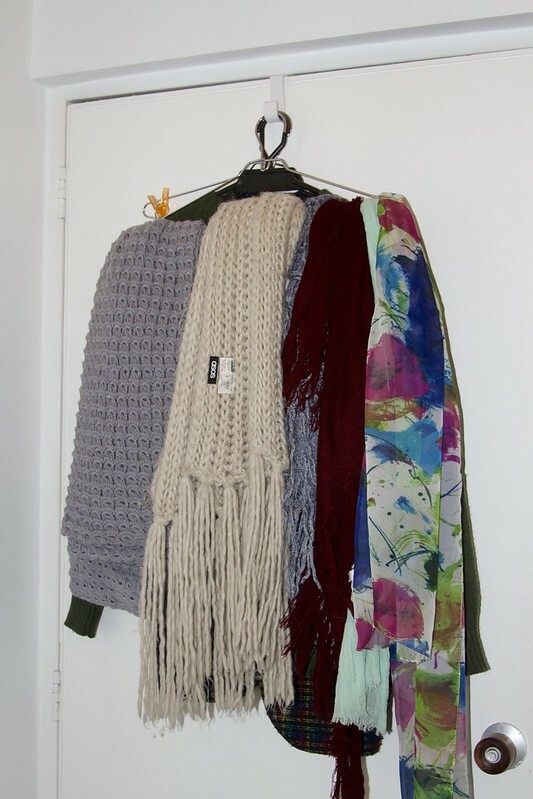 I am in love with scarves as well, chunky ones are my favorites for this super cold days, the gray was done by my grandmother, the creme is from ASOS , and the others were gifts. También soy medio adicta a las bufandas, pashminas o como las quieran denominar, me encantan las grandotas, la primera me la hizo mi abuelita, y definitivamente espectacular para los días fríos, la crema es de ASOS , las demás son regalos. 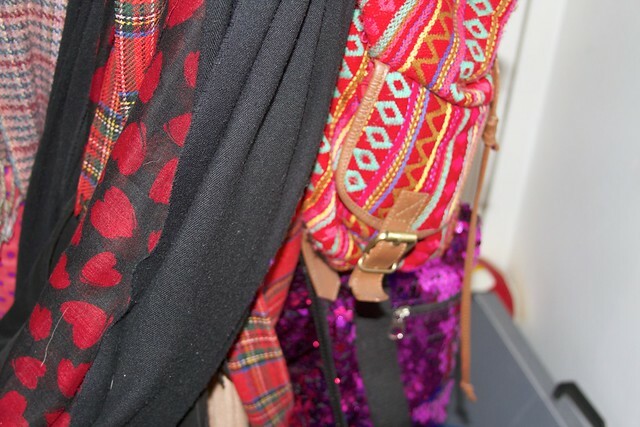 As you may noticed I love patterns, I also have some basics, they are really handy. Como se darán cuenta me encantan los patrones, todo lo mío tiene esto, aunque también tengo algunos básicos, son siempre buenos. Here you can see a flower crown (I DIYed, soon you'll se a video) and a little hat, I wore it for a costume. Aquí pueden ver una corona de rosas (la hice yo, pronto verán el video) y un sombrerito, este lo use para un disfraz de domadora de leones ;) ah y más patrones. 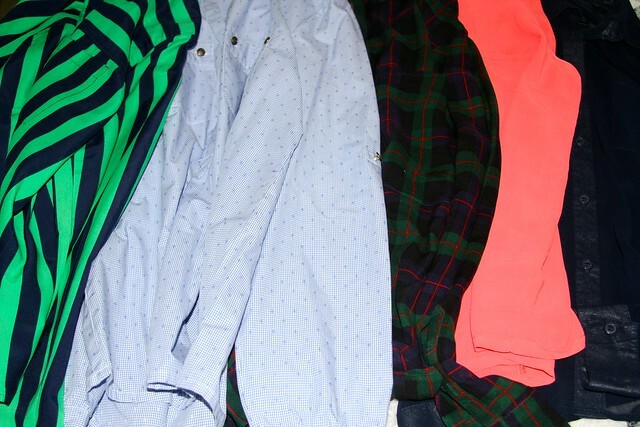 These are a few of my favorite shirts, they all have patterns, and there are some basics too. Estas son algunas de mis camisas más preciadas, también de patrones, y algunas básicas.